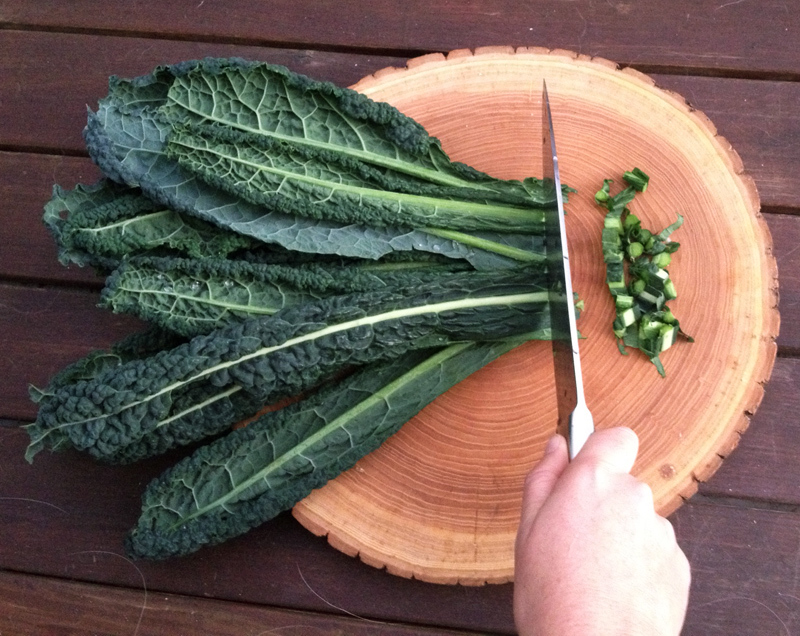 The Trail of Crumbs • A Gastro Travelogue: We Found Kale! 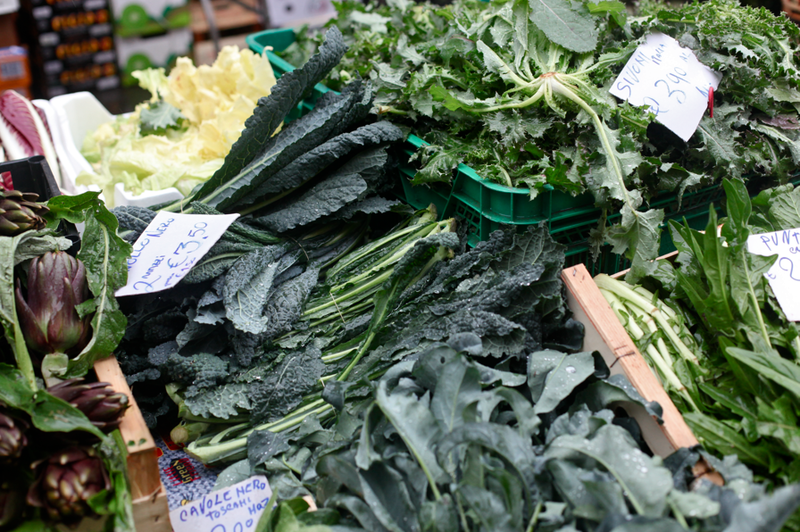 Since finding Kale in Paris is impossible, we've been keeping an eye out for it when hitting up farmer's markets around Europe. When in Milan last weekend, we cruised through the Viale Papiniano market on a whim while it was heavily raining and out of nowhere, boom, Tuscan Kale! We bought a few bunches and threw them into our suitcases, as we were flying back to Paris later that day. We've been enjoying Kale in every way possible until the very last leaf since. My sister in California, Simone Rubi, tested this recipe and sent us this photo of her creation! 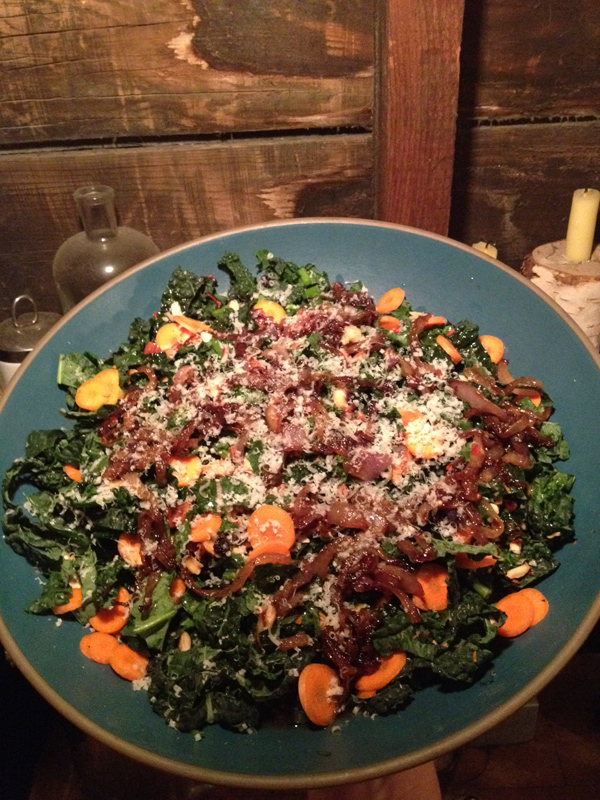 Also... We LOVE Kale caesar salads.. there is a great recipe from Chad Robertson, the man behind San Francisco's Tartine Bakery here! kale salad is totally my thing!! this version sounds awesome. I have a good story about the kale seeds that you gave me earlier this year. I gave them to my local producer Thierry Riant who grew me 8 plants! I just had the first one that I prepared with a caesar salad recipe from Il Buco in NYC. Delicious. So you CAN find kale in Paris.